A new band of young Americans is organising to get the planet out of a death spiral and give decent jobs to people in the process. Hooray! 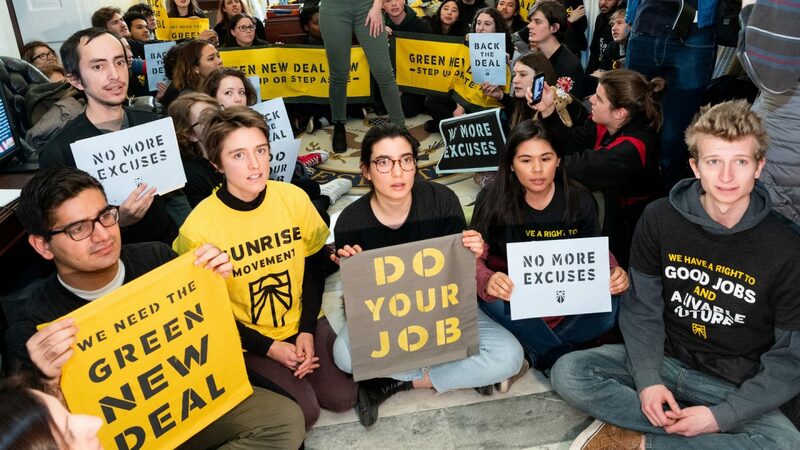 The central demand – a ‘Green New Deal’ – is as ambitious as anything Roosevelt came up with, and spearheaded by Alexandria Ocasio-Cortez, a working class, socialist, woman of colour born in – gulp – 1989. Very much *not* Al Gore, in other words. We probe, ponder, and postulate this new phenomen, but mostly try not to get depressed about how everyone is so much younger than us these days.